Engaged employees may be especially important to economic development organizations because 7-in-10 “believe their city is a good place for people starting a new business,” according to Gallup’s recently released 2013 State of the Global Workplace report. I suspect that is especially true of those in my former field who focus on demand-side or visitor-centric economic development such as is done by community destination marketing organizations (DMOs) vs. the more traditional supply-side form focused on business recruitment. Overall, that describes 30% of workers in the United States and just 13% across all 142 countries measured by not only Gallup’s extremely sophisticated Q12 metric but 18 other indices. But before delving into the other 70%, a note of recognition is overdue. Because Durham’s DMO just received its 5th Sloan Workplace Award since the diagnostic process was initiated 8 years ago, it is a safe bet that the organization charged with promoting and safeguarding Durham’s brand and sense of place has a much higher proportion of engaged employees, probably 70% or more. Each year, Sloan independently surveys the employees of participants as part of the process. The only other DMO to be awarded a Sloan this year was Dallas, among the 300 organizations in 250 communities to be recognized. The American Institute of CPAs in Durham is also a frequent recipient. Cowards would be those who actively disengaged and skulkers, a term meaning to evade or lay back, would be the not engaged. The British called engaged soldiers “gutful” and the actively disengaged “slinkers” but roughly agreed to the breakdown. It appears that in even the most dire and dutiful circumstances the level of those truly and passionately engaged is about one in three. Gallup’s breakdown today includes managers and executives, who are only slightly more engaged and 13% of whom are actively seeking to undermine those who are. So how do some organizations manage to increase the percentage of their workforce who are actively and passionately engaged from 30% to 70%? This also correlated to good customer service, accountability, innovation, productivity, profitability and more. But I have a broader concern. Of course, employers, public or private, are not really in the missionary business. There’s only so much that can be done in the workplace to dial employees up. But as more and more and more employers follow Gallup’s research-driven recommendations and engage in in-depth diagnostics such as Sloan, it seems the pool of engaged and engage-able employees may become increasingly tapped out. 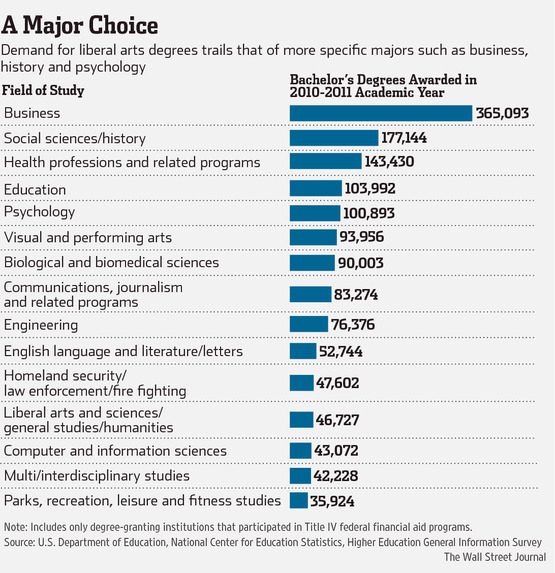 At one end, as noted in an excellent piece in the Wall Street Journal this week about the current demand for degrees and the dangers of specialization, there is incredible anxiety among people preparing to enter the workforce. On the other, it is clear that globalization and automation have not resulted in fewer jobs, just lower quality jobs. As a society, we’re doing better than other countries but many in our society seem bent on dismantling upward mobility while others seem intent only to be enablers of non-engagement. It seems we may need to become more engaged as a society overall to become more engaged at work.